View More In Eyewear & Hearing Protection. Hunting range gear hearing protection muffs. 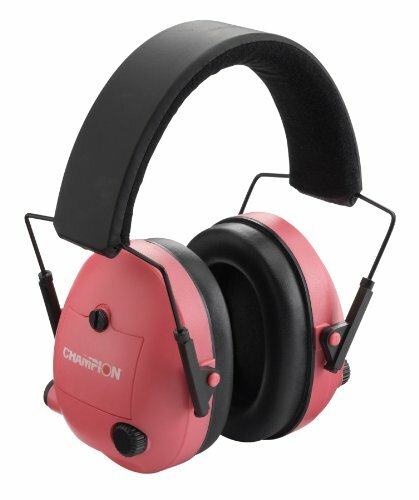 Made of the highest quality materials to Champion electronic 25 db NRR 40975 earmuff Pink hearing protection. Hunting range gear hearing protection muffs. Made of the highest quality materials. If you have any questions about this product by Champion Traps and Targets, contact us by completing and submitting the form below. If you are looking for a specif part number, please include it with your message.